Your wedding day will be a cherished memory for the rest of your life, plus the party of a lifetime on the day of! Even after the reception is over and all your loved ones have gone home, you'll soon have photos to remind you of the day forever. With all the significance and permanence involved, it's no wonder brides, grooms and wedding guests want to look their absolute best on the Big Day! With cosmetic dentistry provided by our experienced dentists, your smile can look glamorous in time for the wedding. After your consultation, your porcelain veneers can be placed over just 1 or 2 appointments at our office. Depending on scheduling at our office at the time, this means you can get porcelain veneers even if your wedding is right around the corner. Call our office for more information. Teeth whitening. For wedding photos, and any important photos, teeth whitening can make a big difference. Dull, yellowed teeth tend to be quite apparent in photos, and teeth whitening brightens your tooth enamel by as much as 8 or 10 shades. Our cosmetic dentists use Zoom! LED teeth whitening. The device completes the treatment in about 45 minutes to an hour, and you'll walk out the door with your whitened smile ready to be shared. We also offer Opalescence, which is a whitening gel applied to the teeth with customized trays you wear over your teeth. Complete smile makeover. If you have a few months or longer, and if you want a total revamp of your smile, then a complete makeover may be right for you. A makeover simply means two or more cosmetic treatments may be built into the plan for your smile. So, for instance, porcelain veneers may accompany restorations to repair a broken tooth or replace a missing tooth. The point is to customize it to your individual goals. Gummy smile re-contouring. For some people, an excess of gum tissue shows when they smile. This can make the teeth appear shorter than desirable. Or, others experience an uneven gum line, in which too much gum shows in certain areas of the smile. Our dentists use one of several approaches depending on your unique smile and goals. Veneers may be the right way to address the gum tissue issues, or laser treatment of the excess tissue. They may be combined for optimal results. If you are interested in rejuvenating your smile for the big day, we encourage you to arrange a free consultation with our experienced cosmetic dentists. Let us know the date of your wedding, and we'll see which treatments can be completed before that date. Our experienced cosmetic dentists are passionate about what they do. They want to help you enjoy the smile of your dreams on the day of your nuptials. To arrange a FREE consultation with us in Rochester, New York, please call the practice of Dr. Paul Sussman and Dr. Meredith Pogal at 585-227-4390. We proudly provide care for people from across the region, including Greece, Fairport and Webster. It's been cold, rainy and cloudy in Rochester this week, but as we all know, spring and summer weather is likely right around the corner. Are you planning your next fair-weather excursion? Maybe an extended summer vacation or weekend away? If so, you may be thinking about how you can touch up your look for going out, meeting new people, spending time with family and friends and, of course, taking lots of pictures of your adventure. Like teeth whitening, porcelain veneers are one of those cosmetic dental treatments that can completely make over your smile in very little time. The scans of your teeth and our dentists' instructions are sent to the lab we work with. The lab uses this information to create your customized veneers. It can take a couple weeks or so for the veneers to be made, but once our office receives them, the appointment to place them is completed quickly. Once your veneers are placed and the dentist has checked to ensure everything looks good and is placed securely, you will leave our office with your new smile, ready to be shared! It's a great feeling of instant gratification. They can even be used to eliminate the appearance of a gap between teeth, which is a common spacing issue that many people would like to change. Our experienced dentists can determine if you are a candidate. There is often overlap between cosmetic and general dental problems. Once the dentist examines your teeth and assesses your oral health, they can then determine if you can benefit from a general restoration either in addition to or instead of porcelain veneers. Dental crowns, for example, may be required for teeth that are significantly broken or cracked, decayed, worn or misshapen. Braces or another type of orthodontia may be required for teeth that are so crooked that they are misaligning the bite. The only way to know for sure is to consult our dentists. We'd love to meet you and discuss what aspects of your smile you would like to change. Our dentists will then make customized recommendations for the smile of your dreams. To arrange your FREE consultation at our Rochester dental office, please call the practice of Dr. Meredith Pogal and Dr. Paul Sussman at 585-227-4390. Our patients visit us from across the nearby areas of New York, including Webster, Greece and Fairport. Dental implants are considered lifetime teeth replacements. The titanium post is durable, effective and long-lasting. One of the reasons they last so long is because they actually fuse with the bone beneath your teeth. This process is called osseointegration, and it forms a strong, durable bond between the bone and the dental implant. To find out if dental implants are right for you, please arrange a FREE consultation at our Rochester dental practice by calling 585-227-4390. We provide care for people from across the region, including Greece, Fairport, Webster and the surrounding areas. Feeling nervous about dental visits is not an uncommon anxiety. There are hundreds of thousands of Americans who experience fear of dental work. Sedation dentistry is designed for patients who are unable to get the care they need because they are so nervous about going to the dentist. The good news for those suffering from dental anxiety in Rochester, Greece or any other nearby community is that sedation dentistry represents a solution. A mild sedative can help you relax and get the care you need in order to maintain great dental health. Dr. Sussman and Dr. Pogal have used sedation dentistry to provide our patients with vital dental work for years. Sedation dentistry is really quite simple. We will provide you with a safe, proven oral sedative – for example, Valium or Halcion – to take before your procedure. Again, these anti-anxiety medications are not dangerous when administered correctly, and we know how to ensure you get the proper dosage. These medications will place you into a relaxed, pleasant, dream-like state during your procedure. They will encourage a state of calm and allow you to relax from feelings of fear or nervousness from the sights, smells or sounds of a dental procedure. Now, there is an important distinction to be made between sedation dentistry and “sleep dentistry,” even though the two terms are often used interchangeably. In sleep dentistry, the patient is completely unconscious during the procedure. However, in the sedation dentistry performed at our office, you will be conscious during your procedure. You will be able to respond to questions and follow our dentists' instructions. It's a pleasant, relaxing situation. 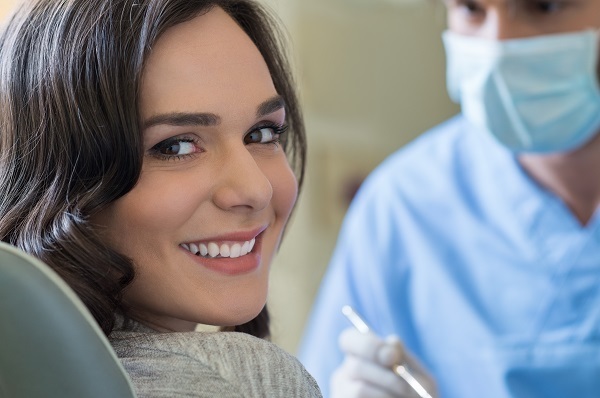 Sedation dentistry offers one simple but significant benefit: it allows you to undergo needed dental work when that was otherwise impossible. Sedation dentistry renders these problems irrelevant. And because the drug you take is an oral sedative, no needles are necessary to administer it. As such, you're likely a good candidate for sedation dentistry if you haven't been able to undergo needed dental work as a result of your severe anxiety. You need to be completely honest and up-front with us about your past medical history and any allergies – this information will help us evaluate your fitness for sedation dentistry. You don't have to just “live with” dental anxiety. It can be effectively dealt with, and you can treat the dental problems that for too long have been neglected as a result of your fears. If you suffer from dental anxiety in Rochester, Greece or any other nearby New York community, sedation dentistry is an exciting solution. Please call Dr. Paul Sussman and Dr. Meredith Pogal today at 585-227-4390 to schedule a consultation and examination. The Center for Cosmetic Dentistry is truly a family practice. Drs. Pogal and Sussman are joined by their daughter, Dr. Cassie Gandia, who is an experienced orthodontist. Dr. Gandia received her undergraduate degree from Emory University, going on to obtain her dental degree from Columbia. She completed an orthodontic residency at University at Buffalo. Interested in learning more about your orthodontic options? To arrange a consultation with Dr. Cassie, please call our Rochester, NY, office at 585-227-4390. 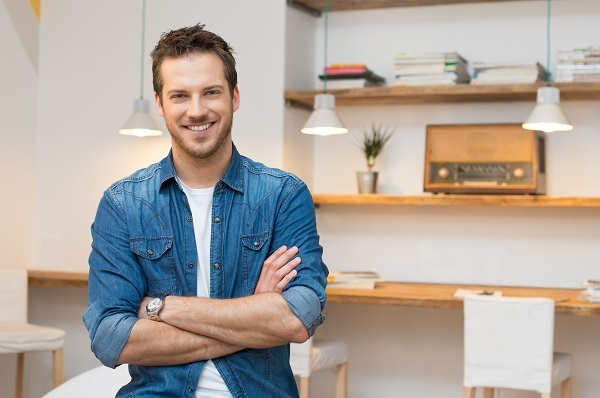 Having straight, properly aligned teeth is not only a good way to boost your confidence, but it's also an important part of a healthy bite. Sleep apnea is a sleep disorder. Although traditionally doctors viewed it as affecting overweight people in particular, in fact it can happen to anyone, even the most trim and athletic among us. This condition causes multiple episodes while you sleep. During an episode, your airflow is temporarily cut off. As a result, your body awakens – sometimes so subtly you don't realize it – in order to restore breathing. Why is your breathing cut off? This type of sleep apnea is caused when muscles associated with your airway (the throat, back of the mouth, even your tongue) relax so excessively that they block your airway. 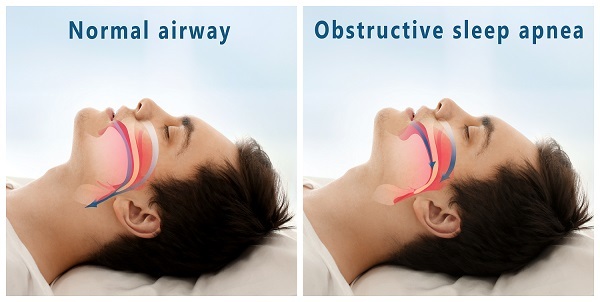 It's called "obstructive" sleep apnea, which describes the obstruction of the airway. There is another type, central sleep apnea, caused by failure of the brain to signal breathing. That type is less common and cannot be treated with dental appliances. You probably aren't aware of symptoms if you are experiencing them. Perhaps someone has pointed them out to you. Perhaps you've grown concerned because you aren't able to get a good night's sleep. Whatever your reasons, you should schedule an appointment with your doctor right away if you are concerned. 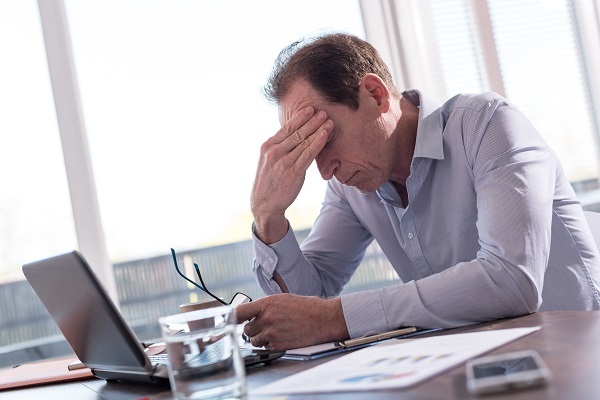 A positive diagnosis can get you on your way to effective treatment, which is essential to avoid serious complications associated with this sleep disorder. You may experience a single symptom or many. A loved one or friend may have voiced concern based on loud snoring. The important thing is to seek diagnosis and treatment promptly. Continued sleep apnea episodes stress your heart and body, and make it impossible to get restorative sleep. Complications linked to sleep apnea include high blood pressure, heart problems, stroke and sudden death. Once your doctor diagnoses sleep apnea, they may recommend a dental appliance for treating it. This is one option. Another common treatment is a CPAP machine, which is essentially an air mask you wear while you sleep. Your doctor will tell you which treatment is right for you. If a dental appliance will work, many patients prefer them because CPAP machines can be uncomfortable to wear and inconvenient to travel with. At the Center for Cosmetic Dentistry, our experienced dentists use a mouth piece customized to your teeth and jaws, to hold the lower jaw forward. Doing so prevents blockage of the airway while you sleep. It looks similar to a retainer. It fits over your teeth, and is also referred to as a mouth splint or oral appliance. It effectively holds the airway open, allowing the flow of oxygen while you sleep. If you live in Rochester, Webster, Greece, Fairport or any of the surrounding areas of New York, please call our practice to learn more. We'd be happy to arrange a consultation for you. Our dentists will review your sleep apnea history and determine if a dental appliance is an option. If it is, you will come back to our office for impressions of your teeth, so that the custom splint can be designed. To arrange your appointment, please call our staff at 585-227-4390. Ready to renew your dental health for the New Year? At the practice of Dr. Meredith Pogal and Dr. Paul Sussman in Rochester, we are excited to help our patients reach their goals. Below, we outline some of the most common general dental problems. Our experienced dentists can determine the cause and let you know what the solutions are. It could be as simple as switching to a different toothpaste. Sometimes a tooth needs to be restored with a dental crown if the sensitivity is caused by a cracked tooth. Oftentimes exposure of the lower portion of the tooth below the gums is the cause of sensitivity. The gum tissue can wear away if you brush with too much force, if you grind your teeth or if you have a genetic predisposition to gum recession. Rely on us to identify the cause. We will explain all of your treatment options so you can decide what is right for you. Missing teeth are not just an aesthetic problem. They cause general health issues. For example, you aren't able to chew and speak as well when you are missing one or more teeth. Another problem is related to tooth alignment: When you're missing a tooth, the teeth surrounding the gap will gradually begin to tilt into the gap, thereby becoming crooked. Crooked teeth affect the alignment of your bite, as well as your ability to properly brush and floss around them. The gum tissue surrounding your teeth is essential to a healthy mouth. Unfortunately, gum inflammation and infection may arise. Gum disease is a very common problem among American adults. Although it often results from poor dental hygiene, you may also have a family history heightening your risk. Do your gums bleed easily, especially each time you brush your teeth? Do you have persistent bad breath? Tender, swollen gums? All of these things are potentially signs of gum disease, although you will need to visit our dentists to know for sure. The good news is that gum disease is highly treatable, especially during the early stages. If you think you may have a gum-related issue, schedule an appointment with our experienced dentists. The dentists at our practice have the experience and skill to treat any dental problem. And as our patient, you will get a clear, accurate explanation of any findings about your dental health. We also present all of your treatment options, helping you to choose a plan that best meets your goals and expectations. Ready to renew your dental health? Our experienced dentists in Rochester, New York, are passionate about helping each of our patients achieve their goals. Your consultation with us is free! This consult gives you an opportunity to meet our dentists and staff, and to discuss your dental health goals and what you may want to do next. To arrange your complimentary consultation, please call the practice of Dr. Paul Sussman and Dr. Meredith Pogal at 585-227-4390. We proudly provide care for people from across our region, including Greece, Webster and Fairport.